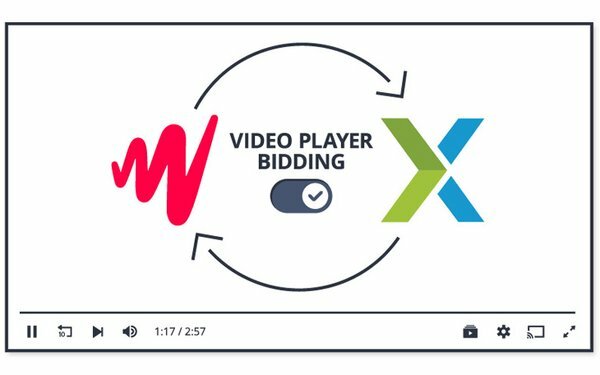 JW Player, one of the most distributed digital video players in the world, Monday announced a deal with programmatic ad platform SpotX to launch “Video Player Bidding,” a new header bidding solution for buying video ad impressions. By integrating directly into the video player, the ad decision is made server-side before a viewer hits play, which the companies said will reduce latency and will lead to higher fill rates and greater ad revenue. The companies said the deal is an exclusive arrangement for 12 months, and will enable publishers utilizing JW Player’s technology to monetize their video ad impressions “with just one click,” effective March 1. JW Players claims a global footprint of more than 2 billion unique devices, although it did not disclose how many video views it serves or how many publishers it has a relationship with. However, it said Penske Media Corp., owner of big-name magazines such as Rolling Stone and Variety, will be one of the first publishers to test the new Video Player Bidding platform.